Tropicana Corp Bhd is planning to launch RM1.5 billion worth of projects this year. To kick-start the process, it will unveil three projects in the Klang Valley by early July. They are Dianthus Serviced Residences at Tropicana Gardens, Ridgefield at Tropicana Heights and Cheria Residences at Tropicana Aman, group managing director (project) Daniel Teh says. They have a combined gross development value (GDV) of RM889 million. Teh was previously executive director at Tropicana. He was promoted to his current position early this year to oversee the execution of the company’s projects throughout the country. Ung Lay Ting, senior general manager for marketing and sales and business development, notes that the RM300 million Dianthus Serviced Residences is the fourth and final block of Tropicana Gardens in Kota Damansara. The block will have 27 levels offering 271 residential units with built-ups of 601 to 1,406 sq ft. The units come in five layouts in 1+1, 2 and 3+1-bedroom configurations. Facilities include a half basketball court, exercise station, wading pool, swimming pool, playground, yoga deck and barbecue terrace. There will also be a sky sanctuary at Level 31 that will have a meditation lawn, sauna, gymnasium and sky terrace. In comparison, she says Tropicana launched the first block, Arnica Serviced Residences, in 2012 priced at RM750 psf. The third block, Cyperus Serviced Residences, was launched in 2014 priced at RM1,200 psf. Arnica Serviced Residences will be handed over in October. Ung notes that buyers of the earlier blocks are from Petaling Jaya, Bangsar, Mont’Kiara, Kota Damansara and Sungai Buloh and she expects Dianthus Serviced Residences to attract buyers from beyond these neighbourhoods due to Tropicana Gardens’ good connectivity. The 13-acre development has a direct connection to the Surian MRT station, which is scheduled to be operational later this year. Several highways, including the Damansara-Puchong Expressway, Sprint Highway, New Klang Valley Expressway and Penchala Link, service the area as well. With a GDV of RM2.3 billion, Tropicana Gardens is a leasehold, mixed-use development consisting of serviced apartments, a mall and office tower. The developer bought the land in 2011. With a concept similar to that of Tropicana City Mall, the shopping mall at Tropicana Gardens is a seven-level podium below four blocks of serviced apartments and one office tower. It is known as Tropicana Gardens Mall. With a net lettable area of 1.1 million sq ft, the shopping mall is currently about 40% completed. Ung expects it to be completed by end-2018. She says that the developer is now in talks with several anchor tenants. She adds that after Tropicana Gardens, the developer’s remaining undeveloped land in Kota Damansara is a three-acre parcel where the sales gallery currently sits. For now, no development has been planned. 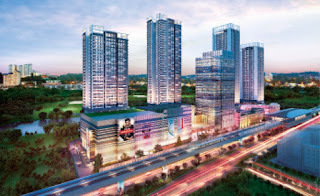 Tropicana will also launch the third phase of the 199-acre Tropicana Heights in Kajang — the RM231 million Ridgefield. Spanning 20.18 acres, the project will include 128 three-storey townhouses, 50 four-storey townhouses and 40 three-storey semidees. Ung says the 3-storey townhouses will have built-ups from 1,994 to 2,446 sq ft, while the 4-storey units, between 2,419 and 2,658 sq ft. The semidees will have a built-up of 3,931 sq ft. The two previous phases also offered landed homes — terraced houses and link semidees. Phase 1 of Fairfield Residences is fully sold and the units will be handed over this year and Phase 2 of Parkfield Residences is 90% sold. After Ridgefield, Ung says the freehold Tropicana Heights will be 50% developed with three more phases to go. The company, she adds, is looking to launch a high-rise development there for the next phase. 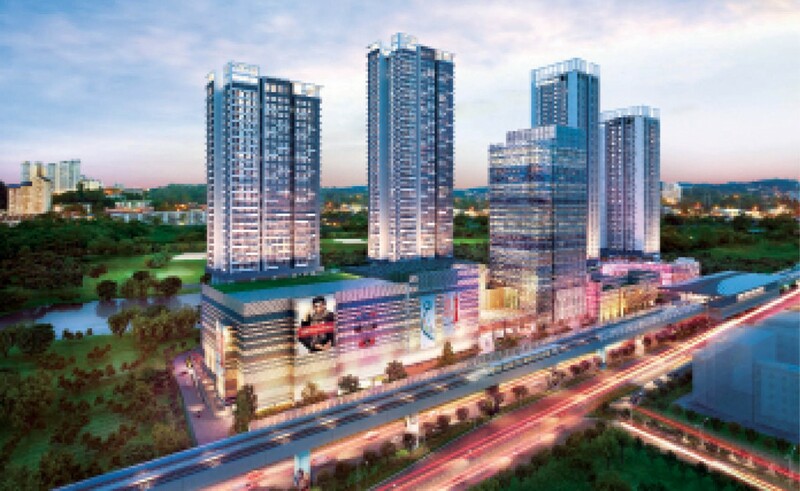 The third launch by next month will be the RM358 million Cheria Residences at Tropicana Aman in Kota Kemuning. Sitting on 38.5 acres, Cheria will offer 272 semidees with built-ups between 3,200 and 3,670 sq ft. They will be priced from RM1.35 million. Both Phases 1 and 2, which were launched in May and August respectively, offer 2 and 3-storey link homes. Phase 1 is fully sold while Phase 2 has a 90% take-up. Tropicana Aman is the developer’s biggest township development in Malaysia, spanning 863 acres. Ung says the developer is looking to develop the tract, which has an estimated GDV of RM13 billion, in 20 phases. After the upcoming launches, Ung says, Tropicana will unveil another two more projects by the end of the next quarter. One is Sinaria in Tropicana Aman — the first commercial development in the township. The fifth project, she says, will be in Johor but the details are not available yet. On the current lacklustre market sentiment, Ung says buyers are pickier now as they have more choice.